Recruitment should not be reactive. Instead, follow a process to increase your likelihood of getting the best candidate who’ll bring success to your business. It’s important to prepare recruitment documentation from the outset, including the job description and person specification. When you write them, think about factors such as the daily tasks, required skills and qualifications, and administrative matters such as salary and working hours. Base the job advert on the job description and person specification. Give enough information about the job so that applicants can decide whether they suit the role or not. To boost your advert’s chances of success, place it on at least two different platforms—almost certainly websites—so enough people will view it. When and where you advertise is an important decision to make when targeting the appropriate audience. 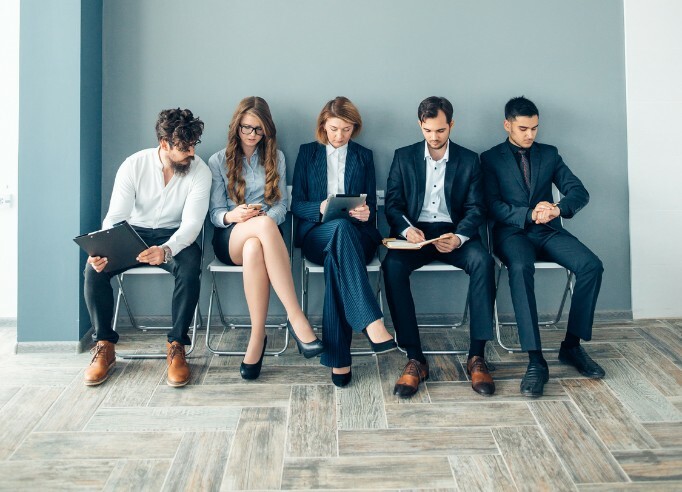 Job adverts should not contain any discriminatory language, such as “youthful” or “mature”, or “waitress” rather than “waiting staff.” Job applicants are protected by the Equality Act 2010, so they could claim their failure to land the job was due to discrimination. You must make reasonable adjustments to remove any disadvantages facing disabled candidates during recruitment, so it’s a good idea to write a line in the job advert that advises the applicants to make you aware if they need any (such as removing physical barriers before the interview). Depending on how stringent the process is, other adjustments may include having longer to submit application forms or allowing written answers to be submitted to psychometric tests. Interviews are a way to compare the interviewee against both the role and the other candidates. You must use a consistent interviewing method and ask each interviewee the same questions. There should be at least two interviewers to ensure there are no claims of bias or unfairness. Once the interview process is over, the interviewers can rate the candidates to see who came out on top. Select the best candidate for the role and send an offer letter. It’s good practice to send a pending letter to the second best candidate to ensure they’re available if the best candidate doesn’t accept. The start of employment is, perhaps, the most crucial stage in the recruitment process. It’s when your new employee gets the first impression of your business. Good or bad, this impression can affect the employee’s decision about whether they to stay working for you. It can even affect their future development, so don’t underestimate it. There are ways you can manage this. Consider putting in place an induction plan, teaming your new starter up with a ‘buddy’, and offering training as soon as possible. Wendy Moore is Group Head of Talent at Peninsula.